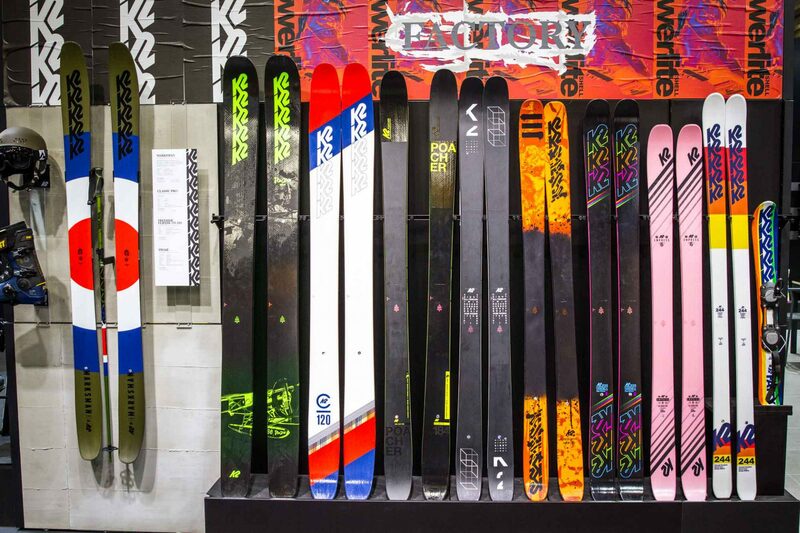 Europe’s flagship snowsports tradeshow ISPO rolled through the Bavarian metropolis of Munich this week, and we were on site to check out all of next season’s new gear. 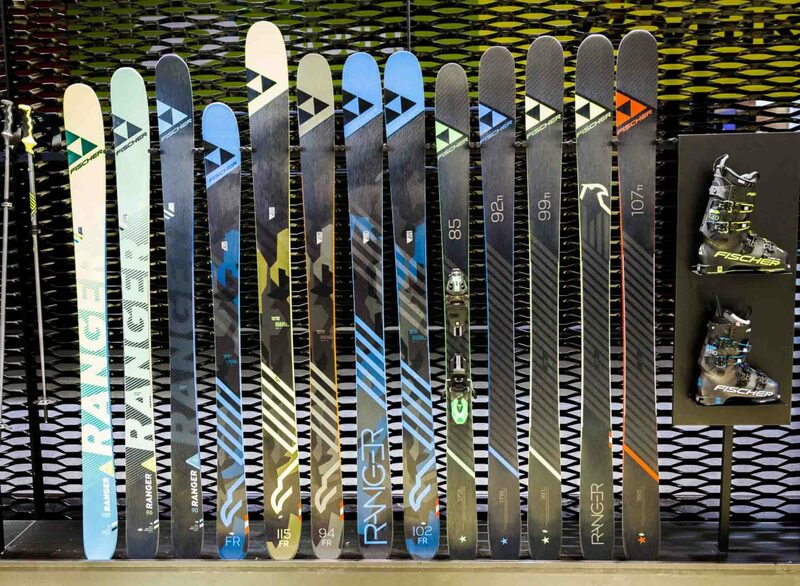 Let’s take a look at some highlights from the ski hardware side, where big changes in rocker profiles and sidecut in recent years have been giving way to more refined, narrower-gauge ski models. 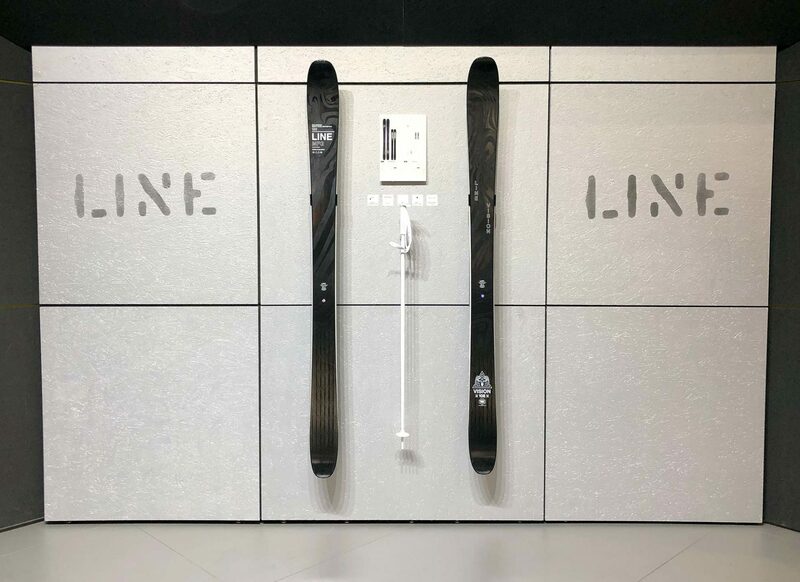 If shape and rocker was the big hype a few seasons ago, now the story is about updates in ski construction, carbon layers and flex profiles, as well as filling in product lines in the 85-100mm underfoot range. 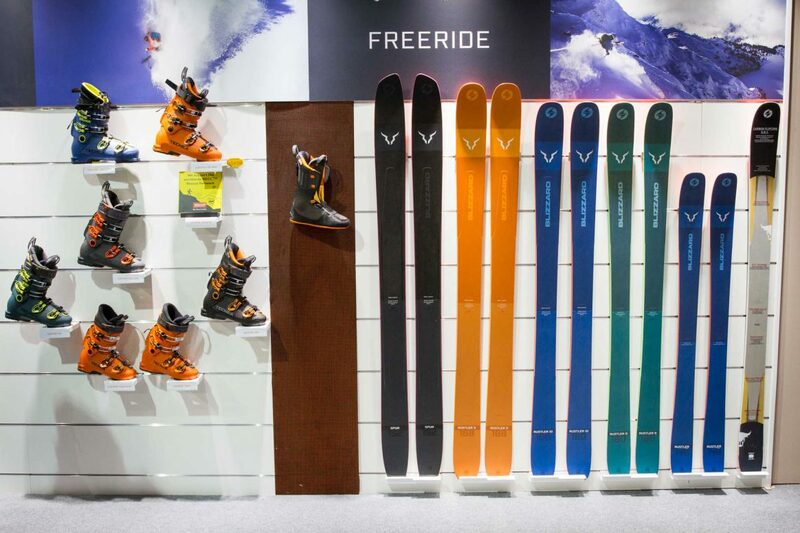 A longtime player in the freeski realm, Völkl skis have been getting more play of late on the freestyle side, with a lot of contest pros rocking the brand. Still, Völkl has always carried clout in freeride, and a brand-new ski called the Revolt 121 now takes up the flagship role, replacing the One, Two and Three models that were phased out over the past years. 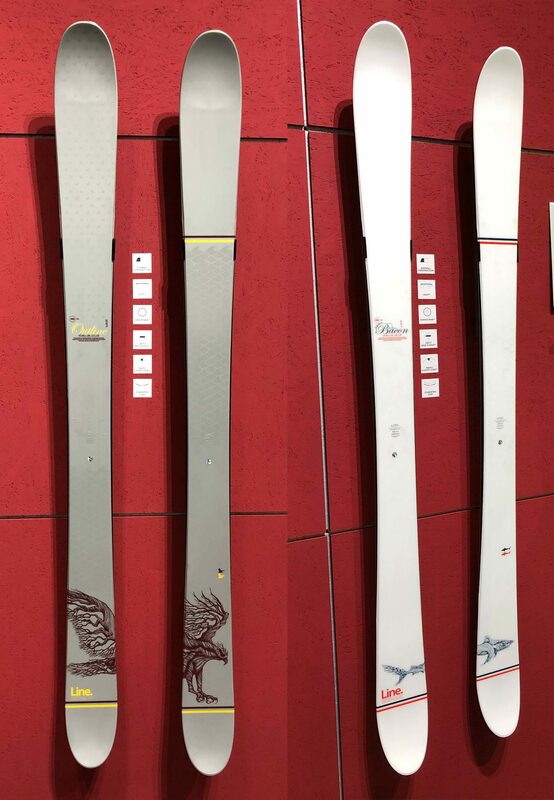 Völkl's freeski sortiment now includes the new Revolt 121 as the big brother to the Revolt 95, 87 and 86 skis (all numbers indicating the millimeters of width underfoot). Völkl has created an entire campaign around the Revolt 121 called “Built Together,” which focuses on the unique collaboration among athletes, artists, engineers and product managers that came up with this new powder-chomping backcountry freestyle platform. With input from guys like Markus Eder and Fabio Studer, this ski could bring back Völkl’s renown as a freeride brand in a big way. And if Markus’ monstrous 360 at the Freeride World Tour earlier this week means anything, this ski can deliver on what it promises. Perennial innovators LINE Skis have two brand-new skis in the Eric Pollard signature collection: the Outline and an updated version of the celebrated Sir Francis Bacon. 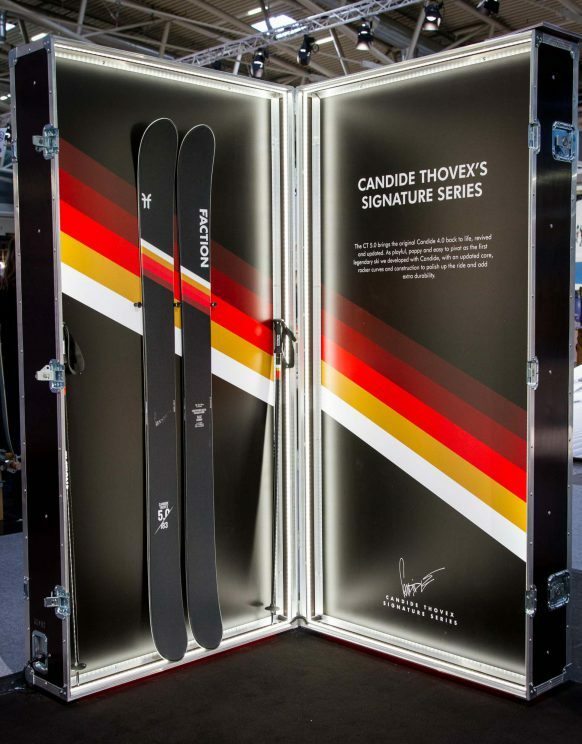 Both skis feature Pollard’s latest idea to “fundamentally change how a ski will plane”: convexity in the tip and tails of the skis, pushing the normally-flat tips and tails out towards the snow. Drawing from surfboard design, this added “dimensionality” of the ski is supposed to enhance your contact with the snow in ways unfelt before. We’ll have to take Pollard’s word for it till we get to give them a try. The new Outline and redesigned Sir Francis Bacon. 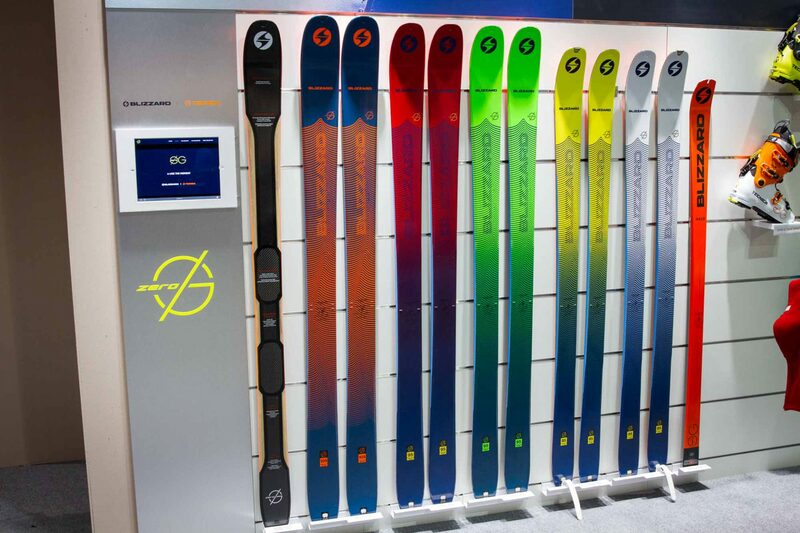 The new Line Vision was front and center at their ISPO booth. Aside from the new Pollard skis, LINE has a new ski in the do-it-all freeride category called the Vision. With 108 and 98mm underfoot models, the Vision employs LINE’s THC Construction, a three-layer laminate that provides dampening and stability at reduced weight. 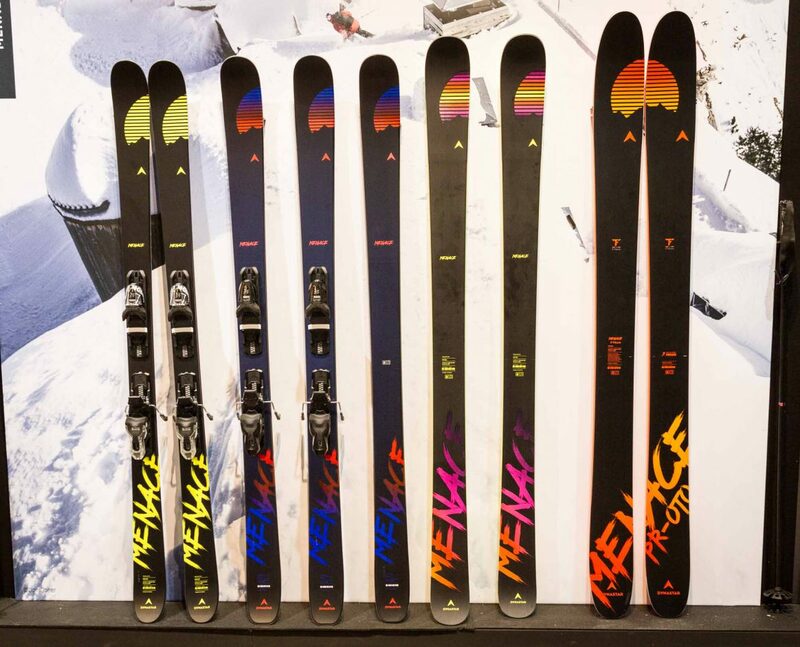 Joining the ranks of the swallowtail Pescado and Sakana as well as the popular Sick Day line, the new additions bolster LINE’s already impressive powder-surfing credentials. Buck up chum, this ski is built for sending like Candide. As always, there’s plenty of news from Faction. After a limited release last year that sold out immediately, the CT 5.0 will again be available next season. 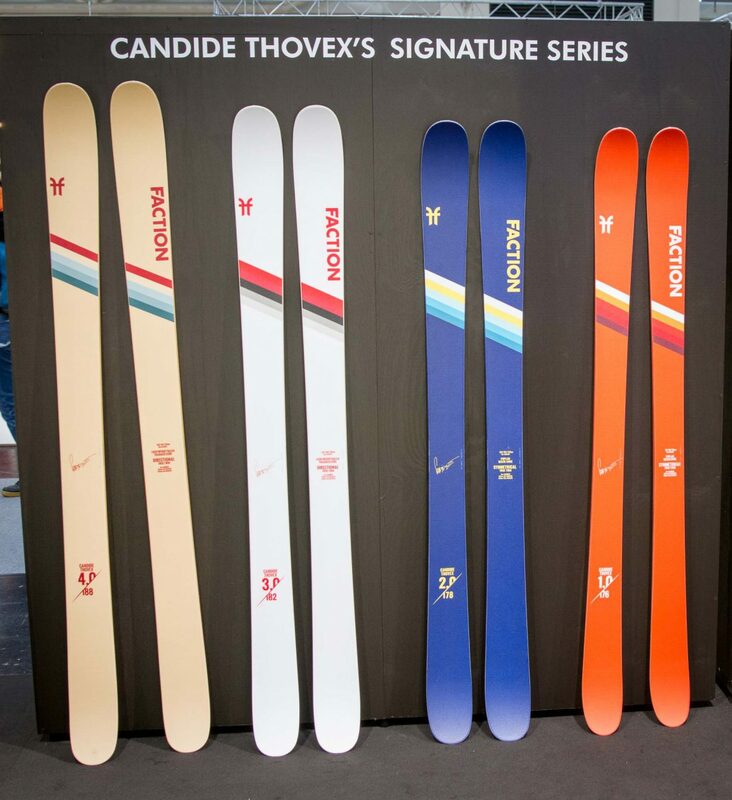 Based off Candide and Faction’s original collab ski, the 4.0, the 5.0 is a 122mm underfoot, flat-based rocker monster designed by Candide, for Candide and the few skiers who think they can ski like he does. Other updates to the CT signature line include shape changes to the 3.0 and 4.0 and two new women’s models, the CT 2.0 X and 3.0 X. The CT series looking clean for 2019. The Dictator line - built to rule the steeps with an iron fist. Other highlights from Faction include a new 98mm underfoot addition to the flagship Prodigy freestyle and all-mountain line, some shape updates to the Dictator freeride line, and two new flat-tail men’s and women’s touring models called the Agent series. K2’s big highlight is the all-new Mindbender collection. 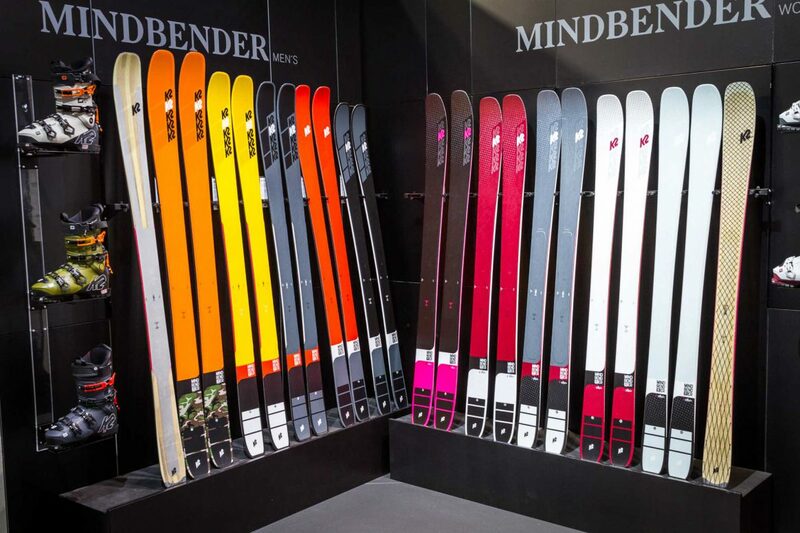 Running the gamut with six models from 116 to 85mm underfoot, the Mindbender line is built around a hybrid combo of a Y-shaped titanal plate and a “carbon spectral braid” overlay that’s all about fine-tuning the longitudinal and torsional flex of the ski. What the hell does that mean? 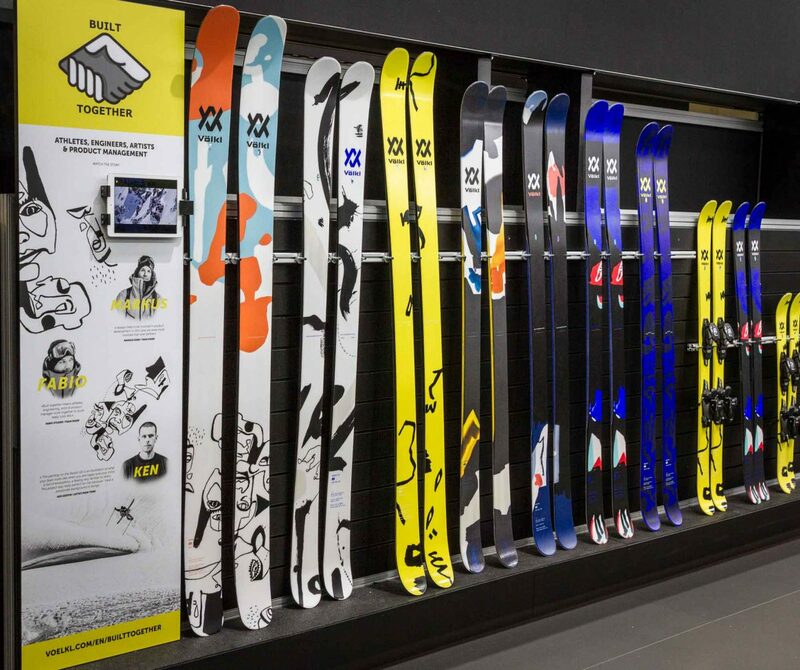 It’s all about finding that Holy Grail somewhere between stiffness and responsiveness, stability and flex that a lot of skiers are looking for in a do-everything ski. The Mindbender men's and women's lines. 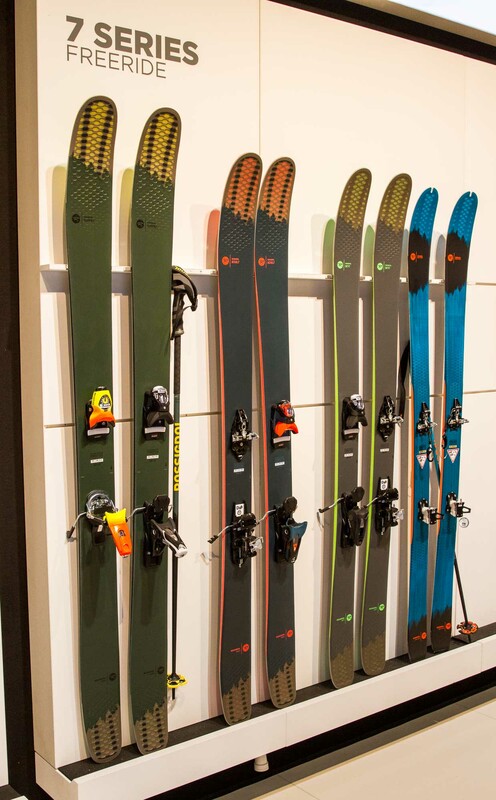 As always, K2’s Factory line remains a freeskier’s favorite, with six dedicated models ranging from the McConkey tribute Pon2oon and the asymmetrical all-mountain Marksman to the Poacher park ski. The Factory collection keeping it radical as always. Fischer has a new 102mm underfoot model, the Ranger 102 FR, extending their already diverse Ranger freeride line with an additional option. The flat-tail TI side of the line at 92, 99, and 107mm underfoot include double titanium layers for aggressive skiing, while the twin-tip FR models at 90, 94, 102 and 115mm underfoot offer a more playful platform. Fischer’s sole park ski, the Nightstick, remains unchanged. Lots of choices for freeriders in Fischer's expanding Ranger line. Nordica has expanded its Enforcer line with new 88 and 104 Free models. The new skis feature lightweight, vibration-dampening tips paired with a carbon-reinforced chassis for equal parts playfulness and power. They used similar construction for the new Santa Ana 88 women’s ski. Nordica's mid-fat Soul Rider line. 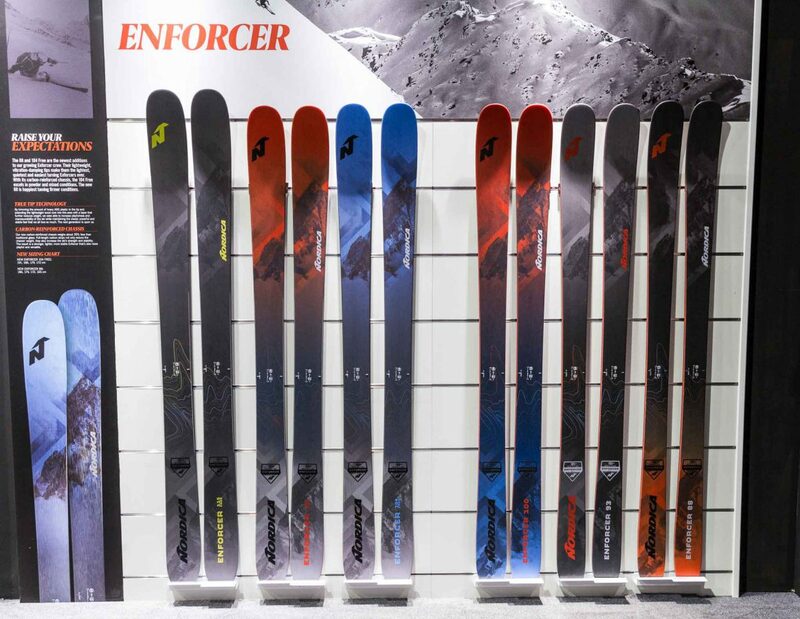 The growing Enforcer freeride collection. Head’s flagship freeride model, the Kore, now has a women’s range from 93-99mm underfoot. Otherwise, nothing’s changed in the hard-charging Kore besides some added aluminum reinforcement in the tails to keep from scuffing them up. On the freestyle side Head’s offering remains unchanged, from the snappy top-line park ski the Caddy, the Frame Wall with 360-degree sidewall construction to reduce impact damage and delam, and the entry-level The Show. The Kore collection added 2 women's models. 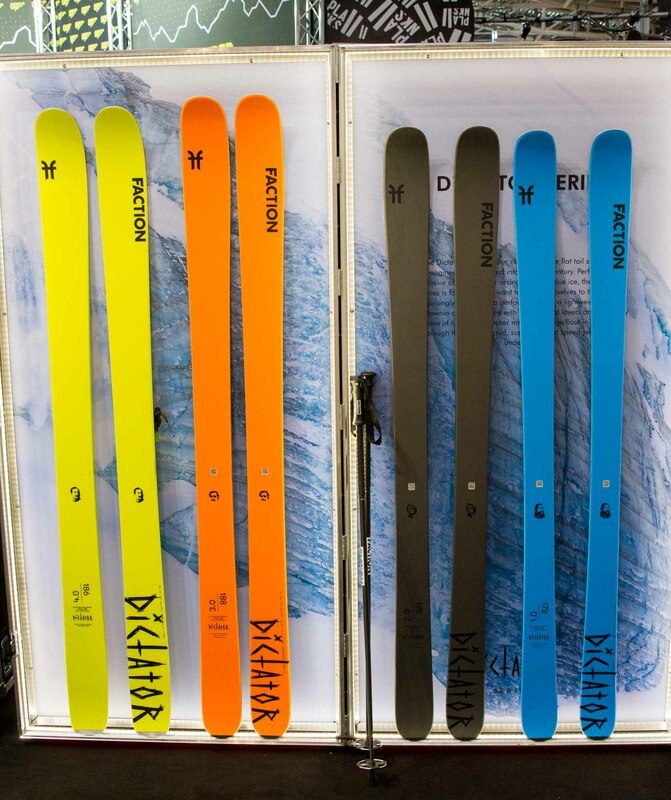 Blizzard has totally redesigned their touring ski, the Zero G (which comes in 105, 95 and 85mm underfoot models) using bidirectional rather than braided strands for a thinner carbon layer to make the skis 15% lighter. Blizzard’s freeride ski, the Rustler, has been expanded with new 92 and 94 underfoot models. Blizzard's Zero G touring line. In other news, Blizzard and Tecnica have announced that they will now be sharing a common brand identity — bringing these sister brands even closer together. 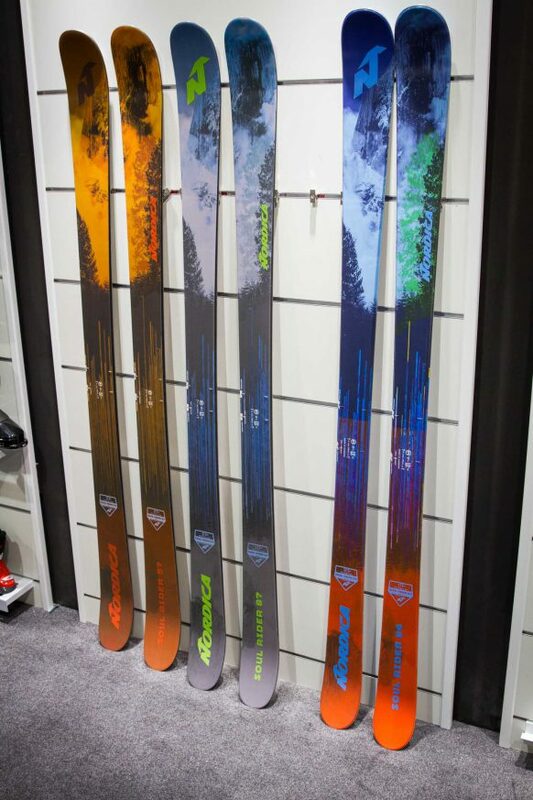 Blizzard's Spur and Rustler freeride skis, alongside Tecnica's Cochise boot collection. On the touring front Dynastar is pushing its new Vertical 82 Pro, an ultralight ski built for fun “both on the uphill and downhill,” as well as the wider Mythic 97 Pro, which has reduced 70g of weight this year. On the freeride side, Dynastar is making some moves with a new line called the Menace, built around Richard Permin’s hard-charging ski the Proto — now the Menace Proto. Dynastar's new Menace freeride line, anchored by Richard Permin's Proto. 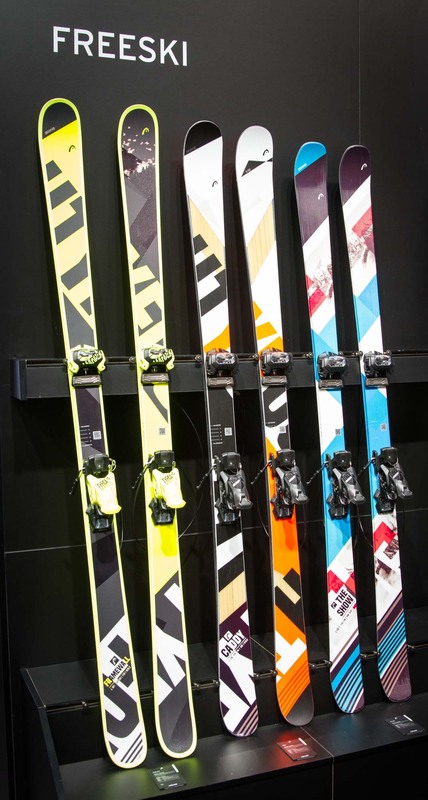 Rossi’s popular 7 Series freeride line is still around in a new look. 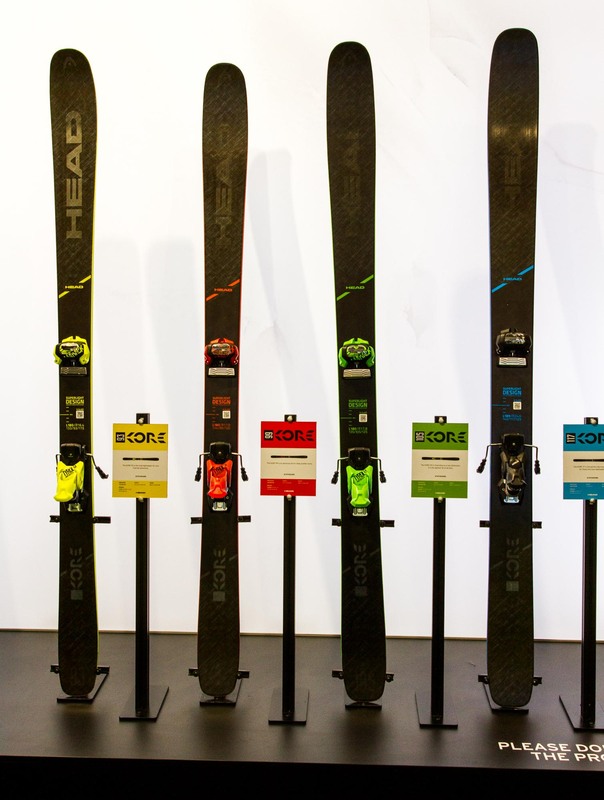 As usual, the skis that the core scene wants to hear about, the athlete-driven Black Ops line, was nowhere to be found at ISPO. We’re sure they’re out there, somewhere. Rossi's 7 Series with the honeycomb tips.